Let us accept Arun Jaitley’s characterisation that the Aam Aadmi Party (AAP) government had no agenda, ideology or mandate. Is this not precisely what gives AAP the freedom and lucidity with which they act, fresh, unpredictable and unjaded, if not entirely anti-establishment? While AAP too is definitely gaming for the next elections, they do not however seem out to defer to any constituted power, say one or the other industrial house – hence they could launch an audacious attack against the Ambanis. Kejriwal argued that both Congress and BJP closed ranks against the AAP since they are both wedded to and controlled by the Ambanis. Jaitley’s three absences seem precisely what could allow AAP to be this free agent speaking out the truth! AAP is able to carry a bit of the will of people, of the aam aadmi, against the consolidated nexus of big capital and political parties. It draws some clear lines. Even if the insistence on passing the Jan Lokpal Bill and the resignation was only a way for AAP to get out of the millstone of being in the government in Delhi, they have in the process hit upon this nexus, the open secret of Indian politics. But this freedom, lucidity and truth of AAP’s actions is so thoroughly circumscribed – not just since Kejriwal’s resignation is, as the media suggests, more a political gameplan than genuine political morality. It is so limited since this will of the people is understood by AAP only through the machination and modality of parliamentary and constitutional power – electoral mandate, assembly legislation, constitutional processes and so on. AAP cannot think outside of liberal constitutional framework . Hence you have a bizarre situation where Kejriwal is going ‘back to the people’, returning to another electoral fray after being freshly out of one, in just 48 days – and this precisely when he was this close to exposing the nexus between big capital and the state and could have leveraged the power of being in government against big capital. Entering the electoral fray again makes it appear that the attack on Ambani is a political stunt, thereby diluting the gains made. It feels like no more than a clever move. We must then talk about the path not taken by Kejriwal. The path not taken by Kejriwal is one where he could have held on to power, not resigned and instead dug his heels, called on the people to oust those in power and started the long march to real power. He could have called on the people to rally behind the government in the fight against the onslaught of big capital. Maybe mohalla sabhas or other such people’s committees could have been activated in this direction, instead of only doing so-called ‘development work’. Workers and social movements working in Delhi could be mobilised to form committees and organs of political power outside of the assembly, outside of the government – and yes perhaps outside of the constitution (if it came to that) but totally in tune with people’s power. An Occupy kind of a movement could have come into shape. Instead of fielding Soni Sori or Medha Patkar as a candidate in the elections they could have thought of reaching out to the movements they stand for. There are other social and revolutionary movements fighting Ambani and his ilk. Attempts could have been made to publicly ally with such movements. And all this not to make AAP into another umbrella organisation which Congress was earlier – for that Congress was only a vehicle of extending the hegemony of the left-wing of capital over the movement as a whole. With such a broadening of people’s power and sharpening of the struggle against the ruling classes, not leaving the government would not have necessarily appeared as power-hungry and dishonest. Here Kejriwal rightly questioned the notion of governance – why for example lodging an FIR against Ambani not be counted as good governance. But to see that he could have continued being in government and pushed for more of this kind of a counter-establishment governance is something he would not want to consider. Using the government as an instrument in the struggle is something Kejriwal could not imagine. We see an inability to think beyond the parliamentary constitutional possibilities and options – a very cynical, limited attitude. Using the government as a revolutionary instrument would have been the way out of the endless circuitry of elections, government formation and passing legislation from the pulpit. All real change (er… real revolutions) involve such a real power struggle. Lenin famously, infamously for the likes of Ambani, bypassed the elected (ah ‘elected’!) constituent assembly in favour of organs of working class power (the soviets) constituted outside – this being one of the decisive moments of the Russian Revolution. This is the lesson of, if Kejriwal cares, the Marxist theory of the state. ‘Going back’ again and again to ‘the people’ (read ‘elections’) in the face of the unelected and dictatorial power of big capital and the state is a sign of weakness. Stumbling upon a roadblock in the nexus between big capital and the state only means that AAP’s experience today is a clear instance of what Marxism teaches us: that capitalist democracy is mostly dictatorship of the bourgeoisie . Overlooking all of this and pitching again for this democracy, trying to seek (merely) electoral dividends from this resignation, is both foolish and dishonest – particularly, since in doing so the alternative of mobilising the will of the people along truly anti-capitalist lines is silently set aside. Why is the AAP and its prominent ideologues like Yogendra Yadav refusing to draw these lessons from their own experience? Is it because such a position will take them close to the Naxalite movement which has long been arguing precisely this point? Indeed, from the Naxalite standpoint, what AAP is doing is farcical. They are trying to reinvent the wheel all over again! Earlier the JP movement tried to do this: reject big capital or modernity but never give up electoral fetishism. This major failing of the JP and Lohaite traditions is being repeated by AAP. No wonder then The Times of India could make light of AAP’s attack on Ambani by comparing it with Indira Gandhi’s attack on her opponents as agents of big industrial houses. ‘I can relinquish the post of the CM a thousand times, to defend the constitution and fight corrruption’, says Kejriwal. This moralising attitude is so middle class. It is willing to forego the establishment notion of governance but not the not middle class morality and understanding about power. Thus AAP would not give more than lip support to the other big struggle against big capital, against the Maruti-Suzuki company – this is the movement of the Maruti workers. Ah, the workers have used unconstitutional methods in the struggle, so we cannot go with them, says AAP! Let us fight big capital selectively – and that also only through ‘constitutional methods’: which basically means washing off the real struggle in the icy waters of electoral politics! AAP pushes the possibilities within Indian democracy to its limits and makes it deliver as much as it can. This is attracting many weak-kneed radicals to it. Now they plan to field Soni Sori to instill faith back in this system – they will call it reforming the system or ‘struggle’ or even ‘speaking truth to power’. All this stretches this democracy thin but reveals a refusal to break with it, reposing a kind of eternal faith in its (im)possibilities. Optimism which hides a deeper pessimism, resignation to the status quo. AAP is here like the rest of the liberals and the progressive Congresswalaas. It suffers from a compulsive penchant for playing with the foamy electoral politics. It suffers from what Lenin called parliamentary cretinism. Pushed beyond this, in a terrain less foamy and more gritty, like where the Maruti workers find themselves, it soon turns towards the establishment, towards the debilitating embrace of our elitist fathers of the constitution, the political-constitutional-liberal state order. And, eventually, into the embrace of big capital. 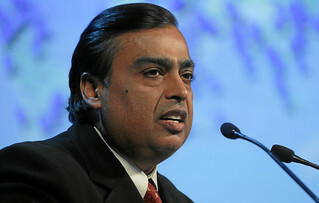 Will Ambani have the last laugh?